Hello there! Today is my tour stop for Gayle Forman's newest masterpiece, I Was Here! *Review based on advanced reading copy. There might be some changes with the finished copy. Cody and Meg are best of friends. When Cody felt there could be more about Meg's suicide, she searched for the answers she started to question. Because how can she--her best friend--can't not know that Meg is suicidal? Since when did Meg become somebody she doesn't know? To be honest, I was skeptical to read I Was Here because it talks about suicide and the blurb just didn't spoke to me. I don't have any expectations. All I know is it was written by Gayle Forman, one of the amazing authors out there. So I have to read it. Just in case. I realized I haven't really known Cody as an individual character. Most of the story revolved around Meg, her past, and her death. 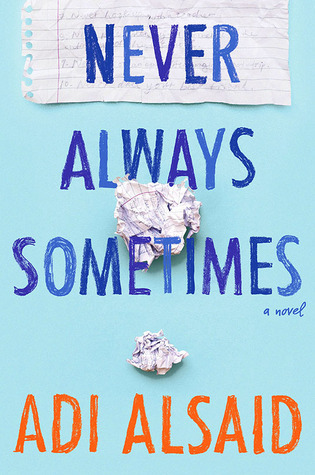 So I'm not sure if this book is about Cody (since the ending is for her) or Meg or their friendship. Maybe about all. I think this book is about the value and importance of friendship. That you wouldn't know what you have with the other until it's gone. It's heartbreaking but an eye-opener as well. Meanwhile, the romance was a surprise for me. I didn't expect the love story and the chosen love interest. I don't like the guy but I could see it coming and I was like, No, no, no. But what surprised me the most is my reaction towards their relationship--a bittersweet romance I can't help but love. So obviously, my thoughts on this book is divided. However, my feelings says one thing: I really liked it. The journey in reading this book made me question some things but when I look on the book as a whole, I find it beautiful, heartbreaking, and captivating. A Gayle Forman trademark that I'm sure her fans crave. 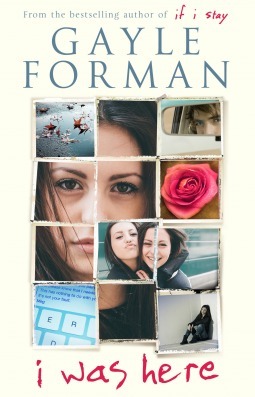 The writing style is very Gayle Forman, but the book itself is quite different from her previous ones. I Was Here is another novel hard to put down. *Thanks to Pinoy Book Tours for this opportunity! It seems like you liked this one, but at the same time felt a bit mixed. It seemed like Meg was very much the focus of the story as well. I have never read a book by Gayle Foreman but have heard a lot of positive things about them, so I should really try one soon! What's Cool? 2014 + 2015!